The reason Australia’s renewable energy rent seekers are suicidal has a name: Angus Taylor. The Federal Energy Minister hates subsidised wind and solar with a passion. Taylor was elevated to the position in late July, and since then he’s been giving those involved in the greatest fraud of all time hell. Last week, Taylor appeared at a conference organised by lefty business rag, the Australian Financial Review. Its journos are fully paid up members of the wind and sun cult, and are having a very hard time dealing with the reality that Angus Taylor is now firmly in charge. Mr Taylor will tell the Financial Review National Energy Summit in Sydney on Wednesday that the government is committed to working with the states and territories to work towards imposing an obligation for reliable electricity supply on retailers “as soon as practicable”. Mr Taylor says the reliability mechanism will drive investment in “fair dinkum” power generation that can supply on-demand in line with one of his three core initiatives to keep the lights on and bring down prices. The others involve setting up a price “safety net” via the Australian Competition and Consumer Commission’s proposed default electricity price, and “stopping the big rip-offs from the energy companies”. Mr Taylor’s words will be the first time the Morrison government has spelt out its intentions for the remnants of the NEG, a topic where state governments have been left in the dark since the change of leadership. The fundamental division within the Liberals on climate change is underscored by opposition energy spokesman Mark Butler in an opinion piece in the Financial Review today, where he exposes the country’s failings on emissions reductions. Mr Butler, who will also address the summit, writes that the Liberals’ energy policy has been reduced to “an ad hoc mix of rhetoric, ACCC recommendations and arbitrary threats of intervention” after it gave up on integrating climate goals into energy policy. In contrast to the “energy policy chaos” of the Liberals, Labor’s approach is “simple”, he says, voicing support for new investment in generation to deliver a 50 per cent renewables target by 2030. He says Labor is “realistic” about the future of coal power from which he signals a gradual exit, reflecting international recommendations on Monday from the International Panel on Climate Change. “We aren’t moving out of coal today or tomorrow, or next year, but coal workers and coal power communities know their economies will need to change and those plants and jobs they currently rely on won’t be around forever,” he writes. “Our coal is the envy of the world and we should promote it proudly – not only does it create less pollution in other countries, it supports the jobs of thousands of hard working Australians,” writes the senator, who will speak on Thursday. “Energy is the greatest public policy failing in decades and energy consumers big and small are the losers,” says ERM Energy chief executive Jon Stretch, who will also speak on Wednesday. AGL Energy interim chief executive Brett Redman is expected to focus on the needs of customers, while Origin Energy Frank Calabria will extend his call for a “rational” policy response to tackle the root causes of price rises throughout all parts of the supply chain. Meanwhile, Hydro Tasmania chief executive Steve Davy will point out that none of the 50 gigawatts of proposed new energy projects around the country involve coal and that pumped hydro will play a major role among “dispatchable” generation projects needed for secure power supply. “The country will need all the storage capacity we can offer and more through Tasmania’s Battery of the Nation initiative,” Mr Davy says, referring to Tassie Hydro’s pumped hydro plans. “There will a surplus of power generated and storage can time-shift that surplus to when customers need it,” he says, adding that more interconnecting cables are needed to make it viable and get power to the market. Operators like Steve Davy from Hydro Tasmania still seem to think that bleating about spending hundreds of $millions to pump water uphill, and holding out a begging bowl to get the cash to do it from taxpayers, is a surefire way to commercial success. Except, Angus Taylor is having none of it. Labor might pontificate about 50% renewable energy targets, more subsidies, bigger mandates and the like, but after the summit was done and dusted it became very clear that in Australia the days of subsidised renewables are over. The reason is pretty simple: the grid is on the very brink of collapse. Throughout the conference, power generators were, for the first time, talking sensibly about the excessive penetration of intermittent wind and solar driving up prices and driving down reliability. All mercenary self-interest, of course: no one gets to sell much electricity when the entire system goes black. The experience in South Australia (an economic backwater that set and met its own ludicrous 50% RET) has clearly spooked them in that regard. 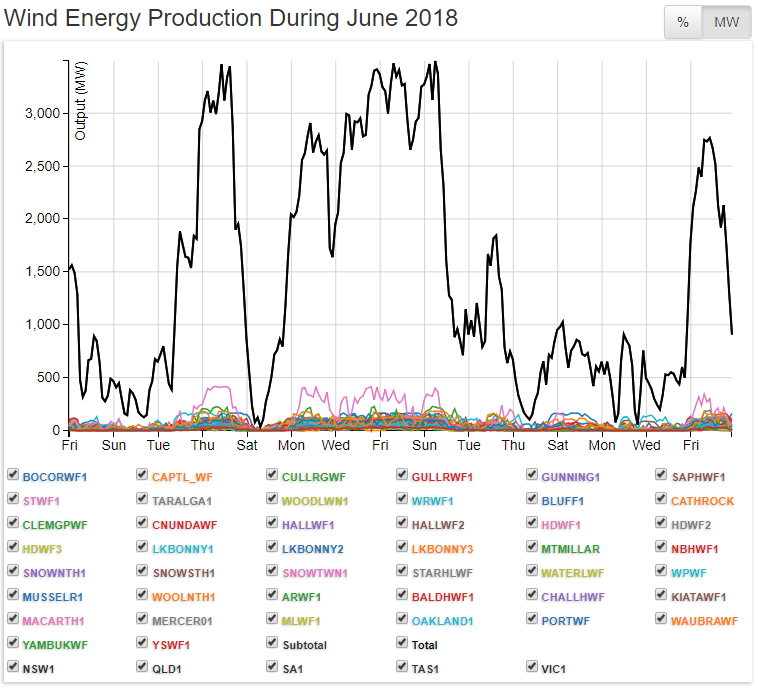 While massive surges and collapses in wind power output make life a living nightmare for the grid managers (see above) there’s also the uncontrolled output from rooftop solar to contend with. STT was gobsmacked to see wind and sun cult central, the ABC run a story outlining the chaotic effect rooftop solar has on the grid, with rapid, unpredictable and uncontrollable surges and collapses in voltage and frequency: Energy distributors push for a cap on solar power – it’s worth the ticket price just to see an ABC journo confronted with the stark reality that there just might be a downside to loading up the grid with chaotically delivered solar power. Where middle-class households have benefited from whopping subsidies and outrageously generous Feed in Tariffs, the poorest are left with rocketing power bills and grid managers are working overtime to keep the entire system from collapsing. Here’s another take on the brewing, home-made renewable energy disaster from the AFR (keeping in mind that the Fairfax press have been neck-deep in the renewables rort from the get go). Major power generators say household solar incentives should be axed from a national energy market that regulators say has devolved into a state of “anarchy”. The rapid adoption of solar – six solar panels are installed every minute in Australia – and the lack of distribution infrastructure was identified by Energy Security Board chairman Kerry Schott as one factor contributing to the market hitting “disruption central”. “I sort of characterise the general state of affairs at the moment as being one of anarchy,” she told the The Australian Financial Review National Energy Summit on Wednesday. “We’ve got economics driving a lot of wind and solar, both on rooftop solar and wide-scale solar and wind. “We have got grid constraints, we have got distribution [that is] not really ready to deal with the huge amount of solar that is going in, nothing has really been coordinated very carefully and we have got a whole lot of work to do. Subsidies for household renewable generation are offered at federal and state levels and the Australian Competition and Consumer Commission has called for the end of the “small-scale renewable energy scheme” by 2021. Origin Energy managing director Frank Calabria said such incentives were no longer required given consumers’ enthusiastic adoption of rooftop solar. “We need to phase out the small-scale renewables scheme, it does not need subsidies any more, it is growing, it breaks records of volumes on to roofs every month and we know just how competitive that industry is, so it needs to be phased out,” he said. EnergyAustralia’s head of energy Mark Collette agreed, saying his company would “love to see” the federal scheme scrapped. “The whole case for the subsidy was built around emissions and emergence of the technology and getting it running,” he said. “It is running faster than a freight train, it doesn’t need a subsidy any more. “It’s a regressive scheme in which customers on hardship and people who don’t own their homes effectively pay more than people who own their homes with solar. “When we ask consumers why they do it, the two top reasons they give us are that they want control over their costs and they want independence from the grid,” she said. Victoria’s Labor government has pledged to spend $1.24 billion putting solar panels on 650,000 homes if it wins next month’s state election, and Victorian Energy Minister Lily D’Ambrosio said household incentives at state level were crucial in the face of policy paralysis in Canberra. “In a climate where we have so much policy uncertainty at a federal level, it is actually more vital than ever for governments and in particular state governments to demonstrate certainty and give confidence to consumers that we have got this, we understand what needs to happen,” she said. “It is part of giving confidence to the community, but real tangible opportunities for them to get power back in their hands. “We went from a system in Victoria where governments owned all the assets in a system that was there for the public good and as an essential service, to a system now that is essentially motivated by winners and losers. NSW Energy Minister Don Harwin conceded there were “challenges and opportunities” for the grid from the rapid adoption of rooftop solar, and challenges with connecting renewable energy to the grid may prevent Victoria from achieve its renewable energy target. “It is all very well to have a high renewable target, but if you don’t have the capacity to connect them it is going to be very hard,” he said. 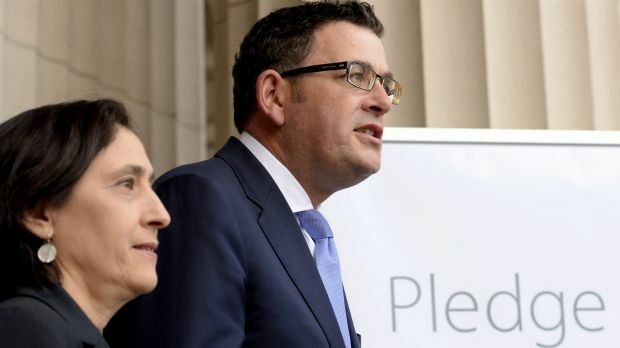 A pair of Labor loons ready to bring SA’s disaster home to Victoria. STT has been banging on for ages about the likelihood of a complete system collapse across Australia’s Eastern Grid. That risk is real, it’s imminent and the powers that be are well aware of it. The mood at the AFR’s energy summit and the Economic and Social Outlook Conference amongst those still hopeful of making their fortune out of subsidised wind and solar is best described as ‘grim’. All that upbeat talk about ‘inevitable transitions’ to an all wind and sun powered future has given way to some sober reflection about the very real risk of there being no power being delivered, at all. While South Australia – Australia’s RE capital – has had its well-deserved share of mass load shedding events and even a statewide blackout, those on the eastern seaboard have been living in a state of denial, believing that what’s become routine in SA could never happen to them. STT hears that Taylor has read the riot act to the AEMO’s Audrey Zibelman – warning her that when the system does go black, she’ll be bundled on a plane and sent back to New York (from whence she came) – so fast that she’ll be home before the lights come on again. Audrey has, up to now, happily paraded her credentials as a renewable energy zealot. With summer looming and mass load shedding events guaranteed, Audrey is, we hear, very nervous indeed. On the other hand, Angus Taylor appears to be relishing his role as The Enforcer. 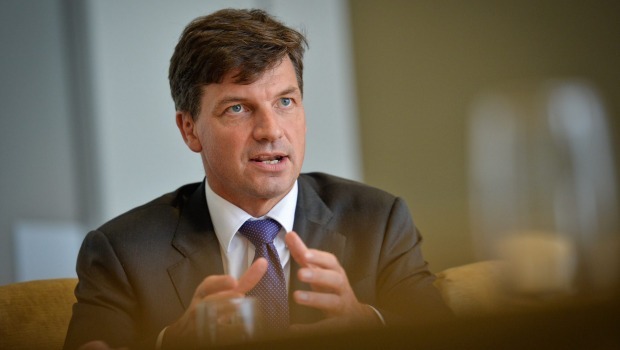 Energy Minister Angus Taylor has warned state governments against derailing an attempt to legislate more reliability into the national energy grid by demanding emissions targets at an upcoming COAG meeting. Mr Taylor, who has been asked by Scott Morrison to focus only on lower energy prices after emissions targets for the energy sector were dumped, this week declared he would be asking COAG ministers at an October 26 meeting to agree to a “reliability obligation” by the end of the year. “It’s a very brave state that is going into a summit that is going to be tough, that says ‘we’re not going to support the reliability obligation’,” Mr Taylor told the con­fer­ence yesterday. The energy sector has been in disarray since the government’s national energy guarantee was ditched at the time Malcolm Turnbull was deposed as prime minister following a backbench revolt over emissions targets. Mr Taylor said that “for whatever reason” Australia was on track to meet its Paris Agreement target of cutting emissions by 26 per cent by the end of next decade, citing the growing use of rooftop solar and private battery storage. He said the only reason an emissions target would be needed was if reductions greater than 26 per cent were being aimed at, such as Labor’s target to reduce emissions by 45 per cent over the same period. “It will raise the price of electricity by a very significant margin,” he said. The architect of the failed NEG, Energy Security Board chair Kerry Schott, said she was still working on the NEG and that she had been asked to report to COAG by the end of the month. But Ms Schott said there needed to be some management of the way different types of energy were entering the system. Ms Schott said state-based renewable targets were previously set too high, resulting in an “enormous” impact on prices. “The cost-benefit analysis was clearly never done,” she said. Mr Taylor said government would proceed with the Snowy 2.0 project only if it stacked up ­economically. 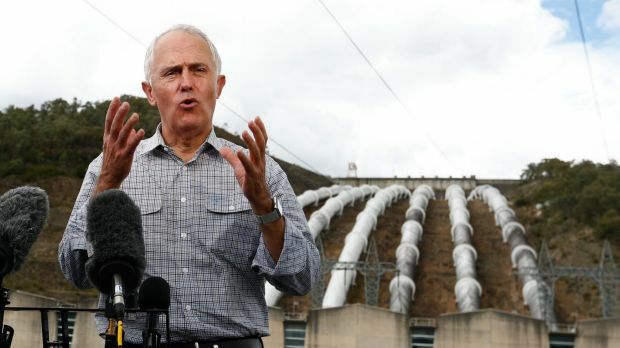 Ghost PM peddles ghost pumped hydro project. Under Angus Taylor, Snowy 2.0 hasn’t got a hope in hell; it was uneconomic in the 70’s and the numbers aren’t any better now. Moreover, what Taylor is chasing is generating capacity that can deliver power 24 x 7 – without massive and endless subsidies, mandates or targets. And that means coal-fired power. The Australian’s Judith Sloan picks up the thread below. Energy Minister Angus Taylor has mastered his brief quickly and has firm plans to force down electricity prices and shore up the reliability of the national electricity market. This much was clear from his presentation at the Economic and­ ­Social Outlook Conference. Because of the recent surge in investment in large- and small-scale renewable investment, the government’s Paris emissions reduction target of 26 per cent by 2030 will be met by the electricity sector early in the 2020s. It is now a non-binding constraint. In this context, the two priorities for the government are to ­ensure the electricity system is ­stable and reliable and that electricity prices for households and businesses are reduced in real terms. There is no doubt that parts of the eastern electricity market are currently under stress, particularly in Victoria. The Australian Energy Market Operator intervened in the market 25 times last year. In the seven years up to then, AEMO had intervened fewer than 25 times in total. The fact that the Energy Security Board, under Kerry Schott as chair, is now focused on defining the required level of reliability as well as imposing this obligation on retailers is completely appropriate. The states and territories that are party to the NEM have every incentive to co-operate. The real challenge for the NEM is how to manage the combination of the large new licks of intermittent energy, both wind and solar, which have been allowed to ­develop without any firming back-up. The chief executive of Powershop and Meridian Energy Australia — a small vertically integrated company that is half-owned by the New Zealand government — quoted in the same session figures for new firmed solar and wind projects in the range of $60 to $80 per megawatt hour. In his view, these figures are lower than for new coal-fired power stations. Moreover, new large-scale solar and wind projects can be completed within 18 months compared with five to six years for coal-fired plants. There are two points that should be made. First, these wholesale prices are still nearly double the historical figures that prevailed until the middle of last decade. Second, the prices that ­renewable project operators can quote are partly the result of the lower cost of capital they can ­secure because of the various government interventions such as the renewable energy target and state government reverse auctions. Were coal projects able to enjoy this same advantage, the prices they could offer would be lower than $60 to $80 per MW/h and would not require any external firming. The hope is that the government will act on the ACCC’s recommendation of underwriting some new large-scale dispatchable plants. Incidentally, the bizarre proposal of some businesses to do their own thing when it comes to emissions reductions can be easily dismissed. Like most cartels, this one is likely to quickly break down as businesses seek the cheapest ­reliable sources of power. If businesses want to impose some sort of shadow carbon price on their investment decisions, good luck to them, but their shareholders and customers will need to bear the consequences of doing so. Laughing quietly at the quicksand of their own making that these “leaders” are trying to extricate themselves from. They still can’t bring themselves to admit publicly that wind and solar was and continues to be a massive waste of taxpayer funds. Instead they open their handbags and simply pull out another shade of lipstick to put on the pig in anticipation that the average Australian will continue the love affair with the pretty pig and won’t tie the smell, crap and dirty sty back to the overpaid jerks with lipstick in their handbags. Personally Angus despite the mass hysteria over the public sackings at the ABC, I think you could have gone a little harder. 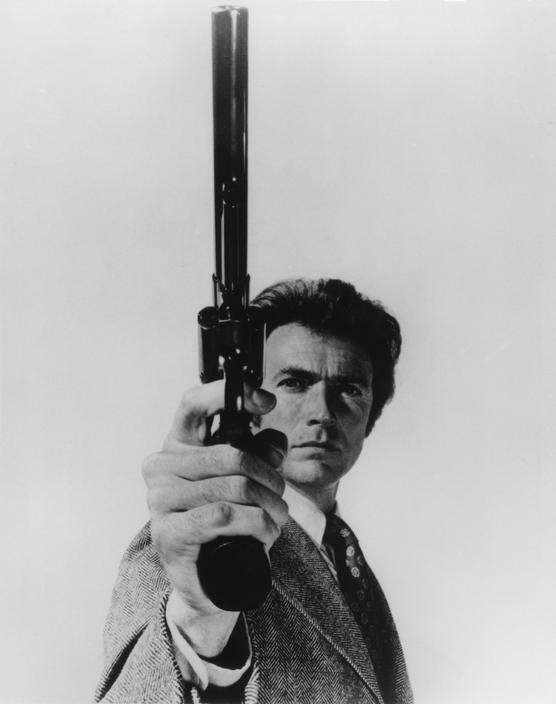 Whilst smoking a Cuban cigar and blowing rings in their face I think you should have told Kerry “I Schott the sheriff and then myself in the foot” and the Lovely Audrey to kick start their brooms and hightail out of the joint. Welcome to the Australian Electricity generation debacle, proudly prepared for you by our wonderful politicians! It doesn’t matter what Taylor does now. As soon as the idiots in Labor are voted in next year it will be full steam ahead over the renewal energy cliff. I have absolutely no time for politicians of any party. No matter what they fiddle with, they stuff up. Everything costs me more and more because of their bloody incompetence. They would be well advised not to doorknock my house next year in search of support. They won’t like my reaction!